Hello! 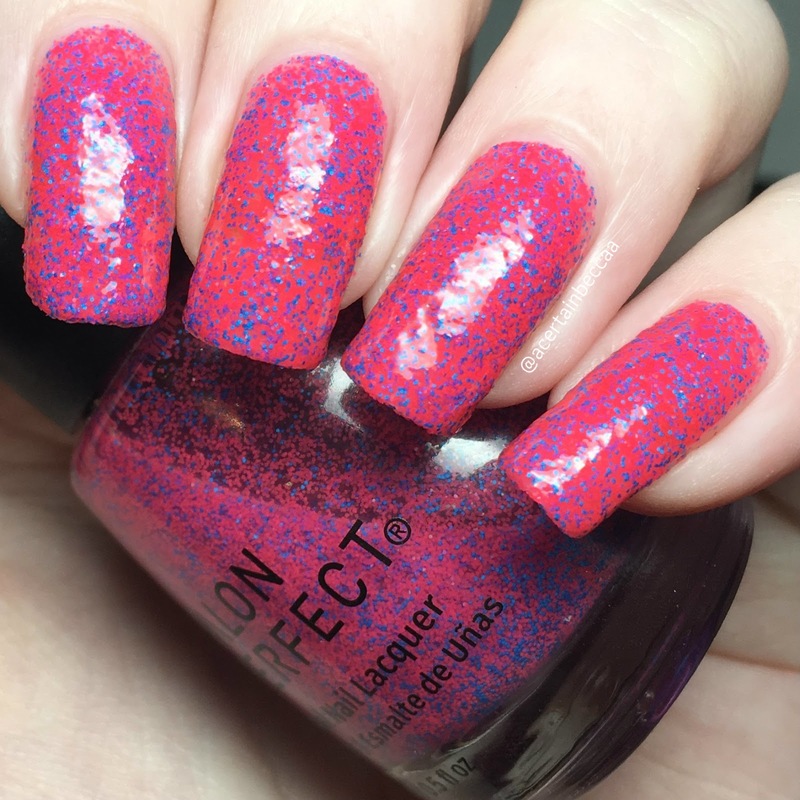 Today I am back with a swatch of my one and only Salon Perfect polish, matte glitter bomb 'Shocked'. My dad got this for me on one of my shorter trips over to the US to ensure I came back with at least one new polish in my suitcase! It's been in my swatch pile ever since, and I've finally sat down and put it on. Read on for my swatch and more info! 'Shocked' is a clear base packed full of bright pink and blue matte microglitters. I wasn't entirely sure how well this would build up it's own, but I thought I'd give it a go. After two coats it was still fairly sheer, so I sponged on a coat before applying a final third one as normal. It does dry slightly textured although is shown below with topcoat. What do you think? Isn't it such a fun polish? I love it! Although I don't think I've ever seen Salon Perfect here in the UK, I'm definitely going to keep an eye out incase any others from this collection pop up - it looks like they released a great range of different colours.